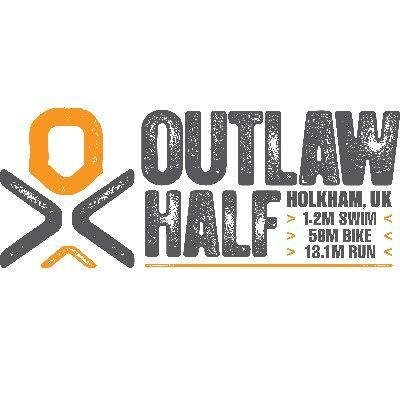 The debut Outlaw Half Holkham event in 2016 received 99.5% positive feedback and was an instant hit at the beautiful Holkham Estate. 2017 was bigger and better! The event takes place over a stunning course covering a 1.2 mile lake swim, 56 mile bike and 13.1 mile run, which can be completed as an individual or relay team of three competitors. The Holkham Estate and its magnificent eighteenth century hall, one of Britain's tourist gems, provide a stunning backdrop to the swim, both transitions and the run. The bike course is a single loop taking in the coastal road, quiet country roads and some faster roads. The run does feature some climbs across three loops around the Estate.